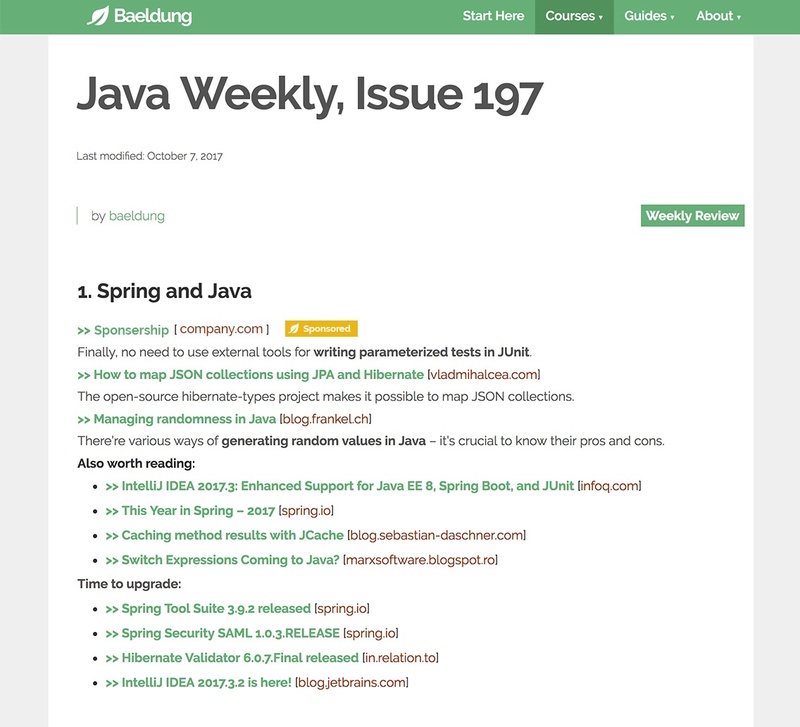 Baeldung publishes in-depth articles and tutorials in the Java ecosystem and general Web Development, with a strong focus on Spring, Spring Security and RESTful APIs. 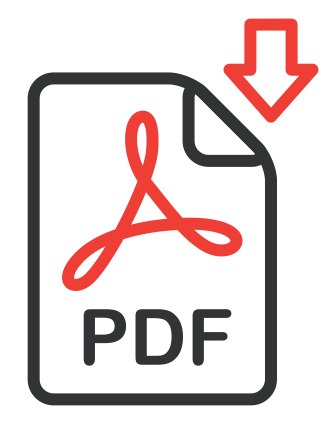 We also publish extensive guides on various Java libraries such as Jackson, the Apache HttpClient, Mockito, etc. Note that we only accept a single, exclusive sponsor per week. 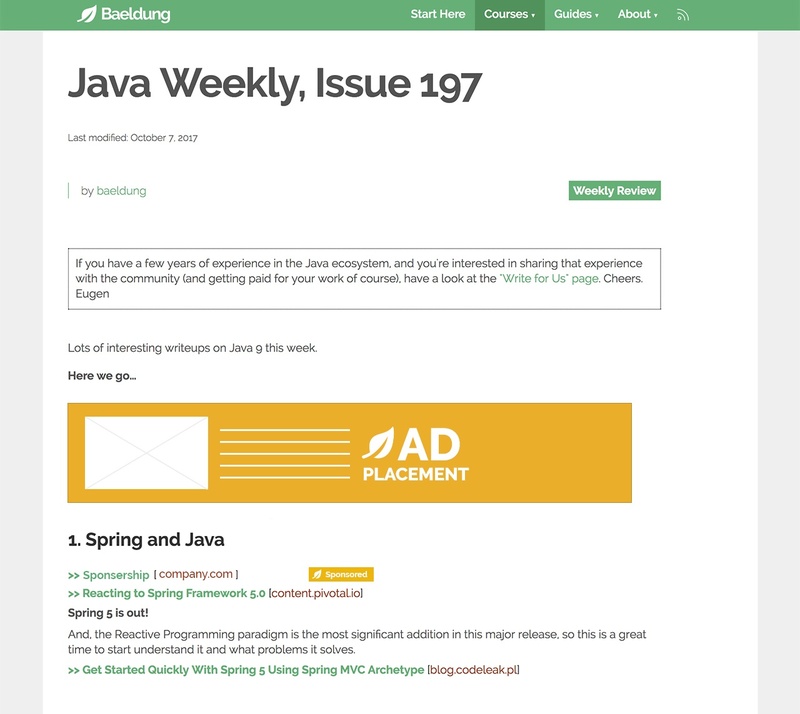 Also note that all placements are native to the site, which means ad blockers have no impact on them.